beans4fashion: What do you look forward to once a month? What do you look forward to once a month? Every month I look forward to one thing: a day at the spa! My first spa experience was about 4 years ago while on a cruise to the Bahamas. It has now become a monthly tradition with my mama. 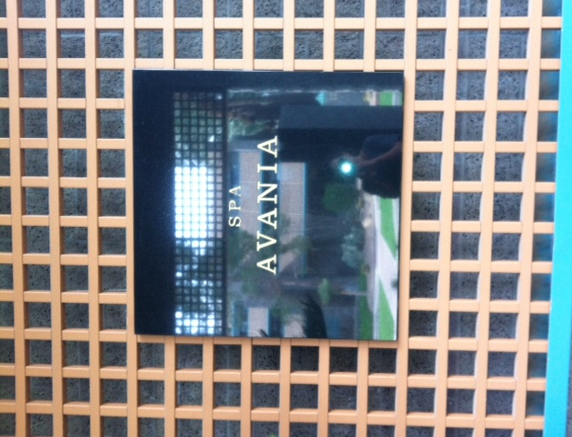 She was gifted a spa package for Christmas at Spa Avania which is located in Scottsdale, Arizona. The beautiful spa is right outside of the Hyatt Regency Hotel. This sleek modern oasis is the perfect place to relax! If you're in the Phoenix area and want a day with the girls I definitely think you should check this place out. The perks include a heated pool, sauna, steam room and much more. I must warn you its a little pricey but overall worth the experience!